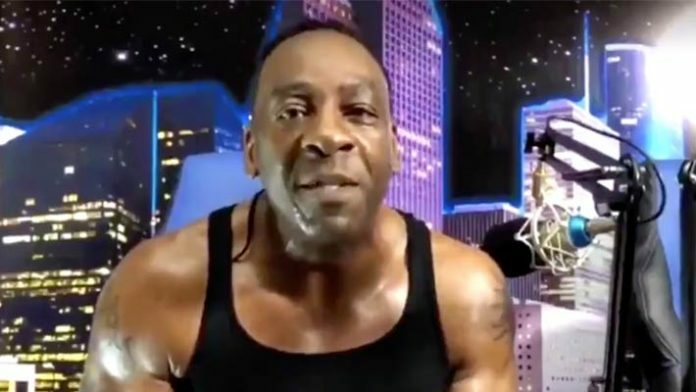 Booker T blasts those who criticize Torrie Wilson and Stevie Ray joining the WWE Hall Of Fame this year. There has been a lot of criticism surrounding some of this year’s WWE Hall Of Fame inductees. Some disagree with the likes of Torrie Wilson and Stevie Ray going into the Hall Of Fame. Despite being one of the most recognizable female competitors in WWE history, Wilson never recorded a title victory during her seven-year tenure. As for Stevie Ray, he piled up quite a bit of accolades in World Championship Wrestling (WCW). Ray is a 10-time WCW World Tag Team Champion, alongside his brother and now-two-time WWE Hall Of Famer Booker T, but also won a WCW World TV Title. Unfortunately, Ray never got the opportunity to compete in WWE. “What dictates whether you should get into the Hall Of Fame or not? I’ve had dirt sheet writers talking about, my brother shouldn’t be in the Hall Of Fame. People who haven’t done anything for this business, talking about who should or who shouldn’t get into the Hall Of Fame. “My thing is this, if you done nothing and contributed zero as far as taking one bump on the road, you don’t know who should get in and who shouldn’t get into the Hall Of Fame. Torrie Wilson is definitely Hall Of Fame worthy. She has paved the way for so many other lovelies, just like herself, that perhaps didn’t think that they could actually do it because they didn’t fit that mold. What do you think about Booker T’s comments regarding Ray and Wilson in the HOF?